Mercyhurst University issued the following announcement on April 4. 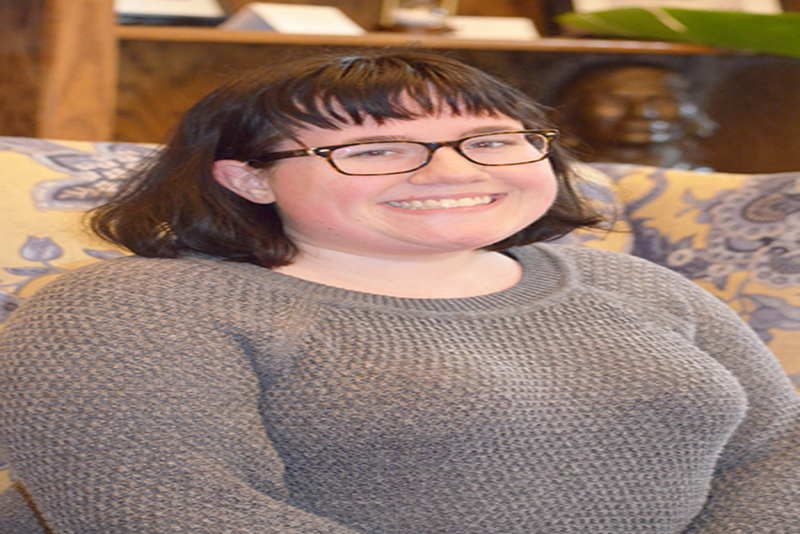 Mercyhurst University sophomore Rachael Wilson will get a rare platform Thursday to speak out about an issue close to her heart: the importance of education and meaningful employment for those with autism. AIM Director Brad McGarry noted that Wilson’s invitation to speak resulted from Mercyhurst’s reputation as a leader in autism support programming. “AIM has worked hard to create opportunities for its students through its collaborations with private organizations, government agencies and businesses working to increase employment of persons on the autism spectrum,” he said. Now 19, Wilson says she was diagnosed on the autism spectrum about the time she entered grade school, but has never allowed that diagnosis to interfere with her plans for the future. After graduating from Fort LeBoeuf High School in Waterford, she enrolled at Mercyhurst, partly because of its pioneering program for students on the spectrum – and partly because she fell in love with the school’s campus. She recently declared a history major, and hopes to pursue a master’s degree in library science and eventually work in a museum or archive. AIM enrolls 60 students with high-functioning autism, providing academic and social support, counseling as needed, and activities to prepare students for the world of work. Through AIM’s Career Path Program, Wilson last fall visited New York City, where she glimpsed what some innovative employers are doing to incorporate people on the spectrum into their workplaces. During her freshman year, Wilson lived in specialized AIM housing on campus, which she says provided a smooth transition from living at home to living on her own. This year she is sharing a campus apartment with several roommates who are not part of AIM. Wilson says the biggest thing AIM has done for her is help her come to terms with her diagnosis. “In high school I was really embarrassed about it,” she explains. “It seemed as though some people’s whole perspective of me changed when they found out I was on the spectrum. “But AIM has taught me that there are people who live everyday with this diagnosis and don’t let it hold them back. Autism is part of who I am, but it’s not my whole identity,” she says firmly. Thursday’s World Autism Awareness Day event is coordinated by the United Nations Department of Public Information and the Department of Economic and Social Affairs, with support from UN Women. Following her presentation, Wilson will attend the second annual Autism Advantage Luncheon with AIM Director Brad McGarry. The luncheon, organized by the United Nations Department of Public Information in collaboration with Specialisterne Foundation, will be served in the UN Delegates Dining Room. It will discuss the “Return on Investment” for hiring persons with autism. AIM, founded in 2008 to meet the unique needs of college students on the autism spectrum, launched a Career Path Program in 2014. From their first semester on campus, AIM students are actively preparing for employment through vocational skill development, job shadowing, internships and paid employment. Mercyhurst has developed an extensive network of contacts in the field of autism employment, and its program is regularly featured at national and international conferences. For more information about the Autism Initiative at Mercyhurst, visit mercyhurst.edu/aim.